Nesterchuk N, Grygus I, Prusik K, Zukow W. The technique of physical rehabilitation in clubfoot. Physiotherapy Quarterly. 2019;27(1):25-34. doi:10.5114/pq.2019.83058. Nesterchuk, Natalia, Igor Grygus, Krzysztof Prusik, and Walery Zukow. 2019. "The technique of physical rehabilitation in clubfoot". 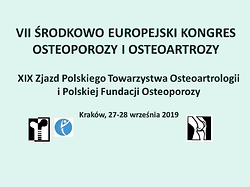 Physiotherapy Quarterly 27 (1): 25-34. doi:10.5114/pq.2019.83058. Nesterchuk, Natalia et al. "The technique of physical rehabilitation in clubfoot." Physiotherapy Quarterly, vol. 27, no. 1, 2019, pp. 25-34. doi:10.5114/pq.2019.83058. To develop the technique for physical rehabilitation of children with congenital clubfoot. To prove the positive influence of physical rehabilitation available to correct disorders in children with congenital clubfoot. The pedagogical experiment involved 68 preschool children aged 4–5 years with congenital clubfoot, who were divided into the control 1 (n = 34) and main (n = 34) groups. At the beginning of the study, the children were treated and were classified in the ‘D’ register by the children’s orthopaedist. Peers without developmental disorders (n = 34) constituted the control group 2. The physical rehabilitation technique based on the methods of functional status diagnosis, purpose, content, and physical rehabilitation program included 3 stages of implementation. The basic technique components of physical rehabilitation experimentally verified its effect on correcting the basic disease and functional status of children with congenital clubfoot. The emphasis was placed on the active involvement of parents, establishing close and trusting relationships with them. Parents are taught to correctly apply physical rehabilitation. They have mastered the skills required for the organization of physical rehabilitation at home. The technique was based on physical rehabilitation purpose, objectives, and adequate principles. It also discloses the specific organization and methodology of physical rehabilitation in congenital clubfoot. The guiding direction is to achieve physical rehabilitation of motor activity and functional status of children with congenital clubfoot to the level of their peers without disabilities.